One of the exciting new features unique to Papers2 is importing documents from your scanner. Scanning documents straight into Papers2 helps you keep all of your files organized, right from the moment you first save it to your hard drive. The scanning feature is made all the more powerful by Papers automatically detecting text from the scanned documents via OCR. The textual contents of documents you scan are indexed and you can search from them (other scanned documents that you import are also indexed). In this tutorial we will go over how to use the scanner functionality. If a scanner is connected to your computer, Papers2 should detect it automatically. If more than one scanner is connected, each one will be detected and you can select which scanner you would like to use. 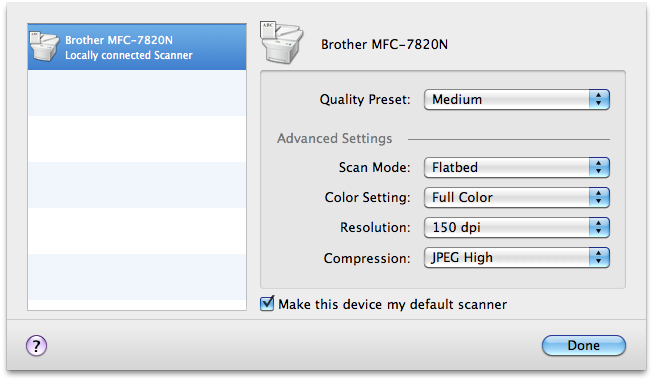 The Settings dialog allows you to choose and configure the scanners. You can also choose to make one your default scanner (this is done by Papers2 automatically if only one scanner is connected). 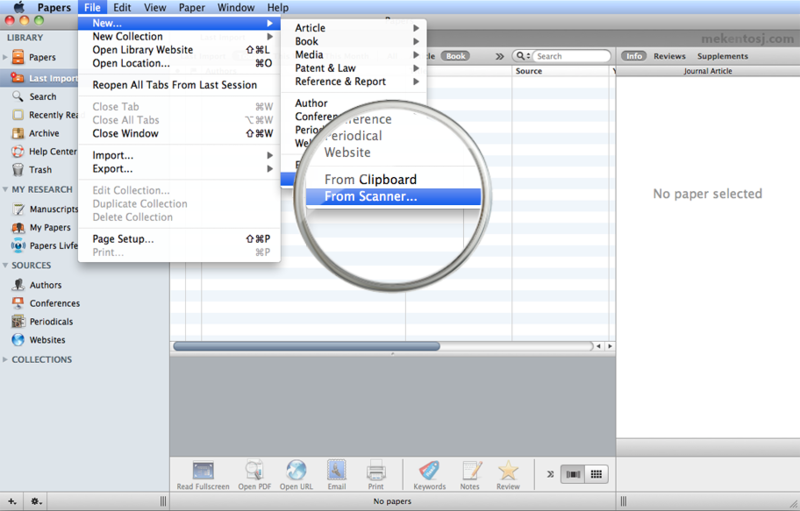 Once a scanner is selected, Papers automatically generates a preview of the document for you. Once you are happy with the rotation, zoom and cropping of the document you're looking at, click on Scan to make a final scan of a page. Once the page has been scanned, Papers will ask if you are done or want to scan more pages. Simply keep pressing Scan until you have scanned all the pages you want included in the document, then press Done and you've just created a full-text indexed, multi-page PDF!